Dr. Rock's Blog & Roll: Album of the Day: Poco (5/6/70) 40 Years! Album of the Day: Poco (5/6/70) 40 Years! Poco was the best of the early wave of light country-rock bands that formed in the late 60s. Poco paved the way for all that followed, including the Eagles. Their second album, the eponymous Poco, was released on May 6, 1970 and generated a good buzz among the critics and hippy folk/country types, but like most of their other albums, it fell short of expectations on the charts and in stores. Despite the quality and innovation of their music, Poco never found a mass audience, and the defection of key players over the years didn’t help. But Poco’s sustainability is unparalleled in the genre; the band’s still in action today. Jim Messina and Richie Furay abandoned the derelict supergroup Buffalo Springfield in 1968 to form another in Poco during the rise of the L.A. country-rock craze. Joined by veterans-Rusty Young, George Grantham and Randy Meisner, the band’s first album, Pickin’ Up The Pieces (1969) showed huge promise as a genre groundbreaker. But bassist Meisner left afterwards (eventually to join the Eagles) and was replaced by Timothy B. Schmitt (another future Eagle) for Poco and the live LP Deliverin’ (1971). Paul Cotton replaced Messina in 1972 when the latter jumped to an MOR pop duo with Kenny Loggins, and Furay quit in 1973, frustrated by Poco’s lack of financial success. Grantham left in 1978, leaving Young and Cotton to forge ahead and find success with the Top 15 album Legend in 1979 (and its Top 20 hits “Crazy Love” and “Heart Of The Night”) and some decent albums in the 80s. 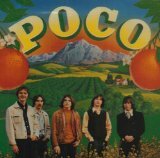 Poco is terrific light country-rock, with guitar hooks, vocal harmonies, pedal steel twang and an overall laidback sound that grabbed critics and FM radio listeners then and still has appeal today. Surprisingly, the album yielded no hits, despite an obvious candidate in “You Better Think Twice.” And then there’s the curious 18-minute jam on Side 2 titled “El Tonto Del Nadie Regrasa,” a Latin-flavored experiment that is far from a flop but makes you wonder what those guys were thinking. Poco the band is in Dr. Rock’s Playlist Vault and Poco the album is available on Amazon and iTunes.